Tiankeng Difeng is situated in Jingzhu Town which is in the Fengjie County. Specifically, it is in the Xiaozhai Village of Chongqing. 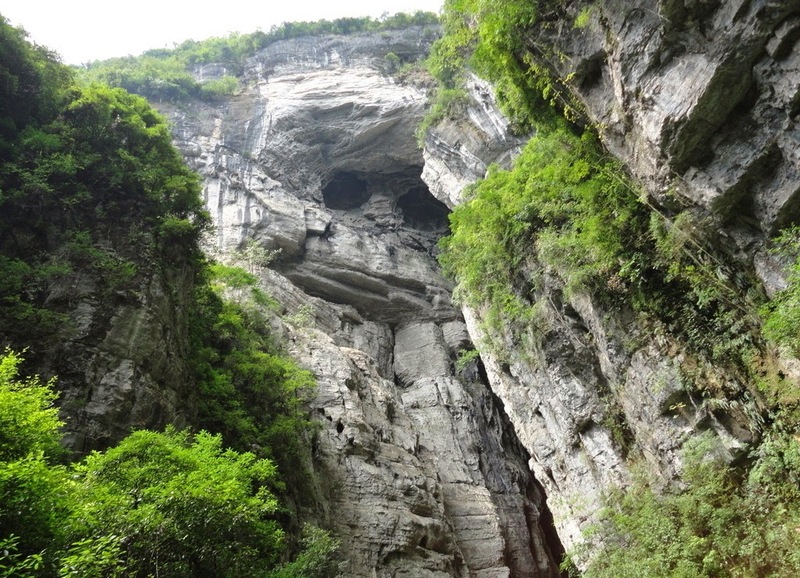 It has a karst doline part Tiankeng and Difeng which is a geosuture. This scenic spot is loved by many travelers. The karst landforms of this place are mysteries which nature has created. This splendid landscape appears just as a colorful painting. Tourists visiting Fengjie County appreciate different types of karst landforms. Thus canyon landscape is very special and features different mountain landforms which as dangerous, magnificent, beautiful and splendid. It is rated as a state level attractive spot in land of China. There are countless karst funnels that have different sizes, many caves, and numerous superior interlaced underground rivers. As it has all perfect karst landforms, this national park is categorized as geological museum. The different landforms are caves, stone forest, blind valleys, hoodoo, lacunas, funnels, natural bridges, and more. 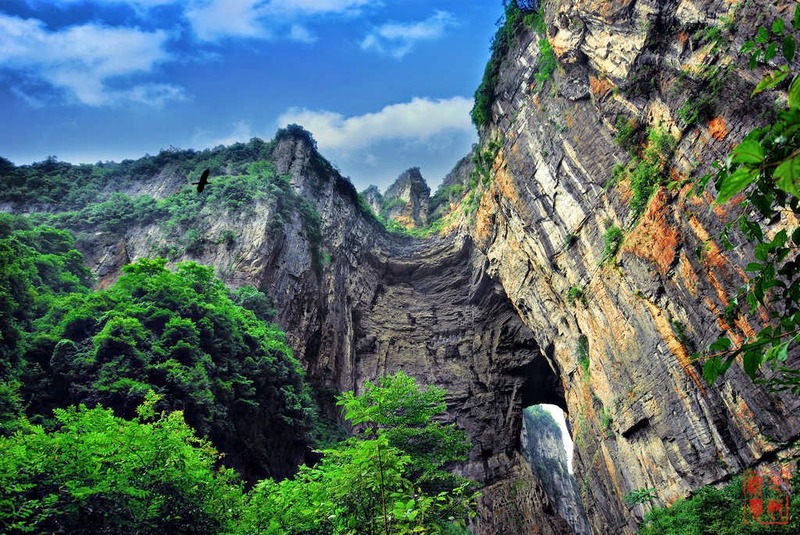 Across the globe, Xiaozhai Tiankeng positions top among these karst landforms. The Difeng is a mysterious as well as peculiar one. They attract lot many travelers who wish to enjoy the real beauty of the nature. In addition to all these, there are primitive grasslands, lush forests, and clear streams which offer it an appearance of beautiful fairyland. Till now, scientists have discovered the largest funnels, Tianjingxia Difeng and Xiaozhai Tiankeng. These funnels are having the highest width to narrow ratio. In this national park, there is River Longqiao, which does not possess a good definition; nut is rated as number one long Underground River. Still, the total number of caves in this park is not identified. Therefore, lot many attractive sceneries are yet a mystery. The resources of tourism in Fengjie Tiankeng Difeng National Park are having very good characteristics. The infrastructure of tourism in this national park is perfect and it aids the area to become a well known tourism centre or leader of tourism in the entire three gorges region. In the year 2006, the Fengjie Tiankeng Difeng National Park was listed as natural national heritage spot and later listed as world natural heritage. The biggest diameter of mouth of Doline is six hundred and twenty six meters. The smallest one is five hundred and thirty seven meters. In the bottom, the biggest diameter is five hundred and twenty two meters. The height when measured vertically is about 666.2 meters. It has a volume of 119,348,000 sq. meters. 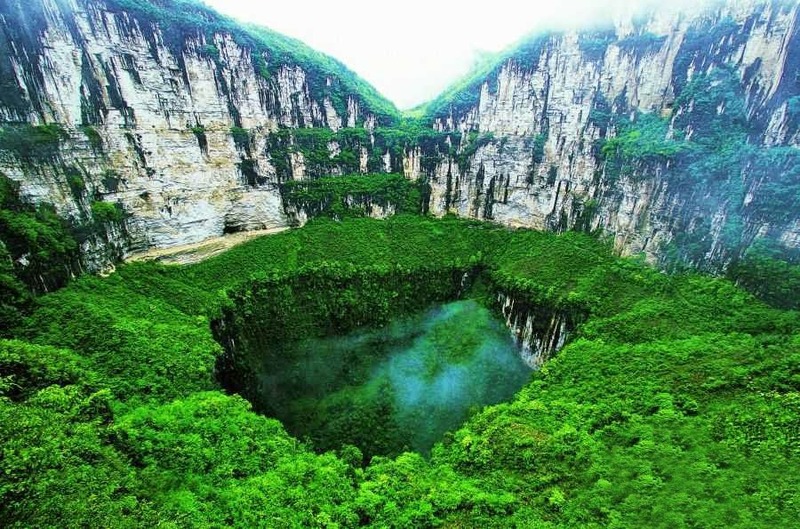 In Tiankeng Difeng, the karst Doline is in fact the deepest one across the globe with highest volume. Tiankeng Difeng has several structures as if it is well cut using knives or axes. It is magnificent. There are lots of unfathomable caves as well as one turbulent underground river here in dolines. Many native and foreign explorers come to Tiankeng Difeng several times in order to explore the various mysteries. Tiankeng is short form of Xiaozhai Tiankeng which is a Doline. 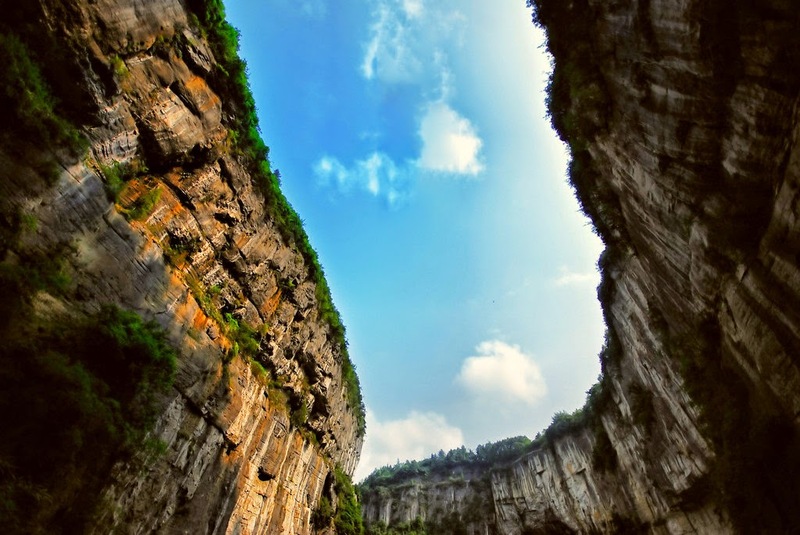 Difeng is Tianjing Gorge crevice. There are beautiful green and clear streams which flow in steep mountains, luxurious forests and primitive meadows. Fengjie Tiankeng Difeng National Park can be visited any time. It is much worth and affordable. Bus and taxi services are available to reach the national park form Chongqing. Visit this fairyland at the earliest!